Frederick Ernest Chant was born on 15 August 1890 at West Chinnock. He was the eldest of the seven children of farm labourer James Chant (1866-1955) and Sarah Anna née Best, known as Annie (1867-1937). In the 1891 census James and Annie were listed at Great Well Cottage, West Chinnock, together with 7-month old Frederick. In the 1901 census the family were at the same address but with additional children; Florence (b1892), John (b1895) and Harold James (b1898). On the night of the census James was absent and Annie was listed as the head of the household, working as a shirt machinist. By the time of the 1911 census the family were living at 10 Camborne Place, Yeovil, and three new sons had been added to the family; Louis Arthur (b1900), George (b1904) and Cecil (b1906). James gave his occupation as a general labourer while Frederick, listed as Ernest, was a bricklayer. On 9 December 1915 Frederick enlisted in the army, joining 3rd (Reserve) Battalion, the Hampshire Regiment. His Service Number was 27332. Frederick was described as being 5' 7½" (1.7m) tall, with a ruddy complexion, hazel eyes and brown hair. His military character was later described as very good and his general character was described as "honest, sober and steady". His initial service was in England. His battalion was a depot / training unit, remaining in England throughout the war. On mobilisation it had moved to Parkhurst, Isle of Wight, and in January 1915 had moved to Gosport for duty with Portsmouth Garrison. 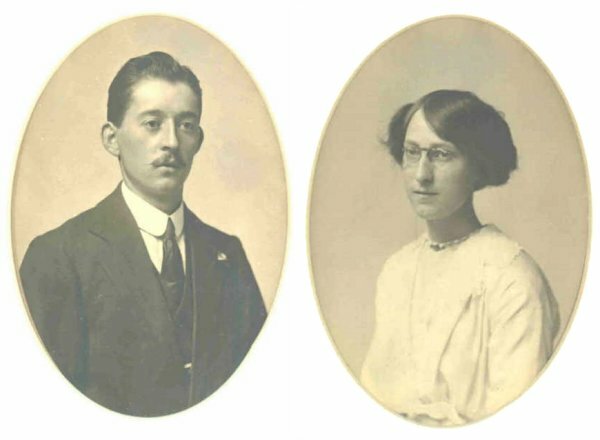 On 4 January 1916, at Yeovil, Frederick married Nellie Pilton (1890-1953) of Yeovil. They were to have three children: Frederick EJ (1916-2013), Reginald John, known as Jack (1918-2008) and Doris Ann (1919-1986). Frederick's service in England lasted until 28 September 1916 when, presumably transferring to another battalion in the regiment (3rd Battalion remained in England), he was sent to France. He served in France with his regiment from 29 September 1916 until 18 May 1917. Since it is not known with which battalion of the regiment he served with in France it is not possible to tell where he fought. He was, however, gassed while serving on the Western Front. In fact chemical weapons were first used in World War I. They were primarily used to demoralize, injure, and kill entrenched defenders, against whom the indiscriminate and generally very slow-moving or static nature of gas clouds would be most effective. The types of weapons employed ranged from disabling chemicals, such as tear gas and the severe mustard gas, to lethal agents like phosgene and chlorine. This chemical warfare was a major component of the Great War. The killing capacity of gas was limited, with about 90,000 fatalities from a total of some 1.2 million casualties caused by gas attacks. Gas was unlike most other weapons of the period because it was possible to develop effective countermeasures, such as gas masks. Frederick would have received medical attention in France before being returned to England on 18 May 1917. He was finally medically discharged on 28 May 1918, being "No longer fit for war service", still suffering from the effects of gas poisoning, and returned to his home at 3 Westville. Later moving to 43 Camborne Grove. 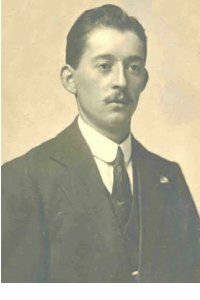 Frederick remained under treatment by the Ministry of Pensions almost to the time of his death in November 1920 at the age of 30. In its edition of 19 November 1920 the Western Gazette reported "The funeral took place at the Cemetery on Friday of Mr Frederick Chant, whose death occurred at his home, 43 Camborne Grove, a few days previously from the effects of gas poisoning. The deceased enlisted in the early months of 1915 in the Hampshire Regiment, and saw service in France. He was invalided out in May, 1918, suffering from the effects of gas poisoning disability, and remained under treatment by the Ministry of Pensions almost to the time of his death. The funeral was conducted by the Rev T.G. Phillips (Wesleyan minister) and the bearers were members of the National Federation of Discharged and Demobilised Soldiers and Sailors. The Sons of Temperance were also represented. The family mourners included the deceased’s wife and three children." Frederick Chant was interred in Yeovil Cemetery on 12 November 1920 - Grave B 2686 - and his name is recorded on the War Memorial in the Borough.